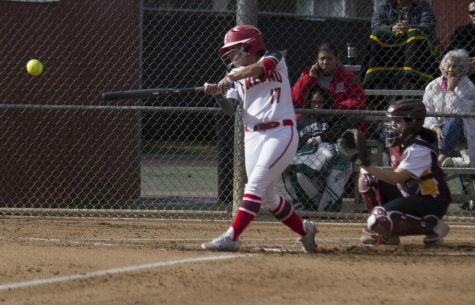 Rams' sophomore outfielder Savannah Pena connects with a pitch that would end up deep over the left field fence for a home run during the Rams' blowout win over Taft College on March 19, 2019. 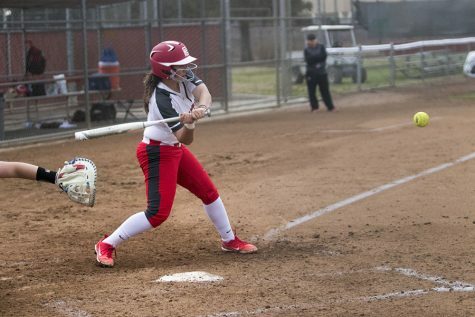 Fresno City Rams Softball swept their doubleheader at home against Taft Cougars on Tuesday, March 19, giving the Rams a six game win streak and a 12-8 overall record for the season. 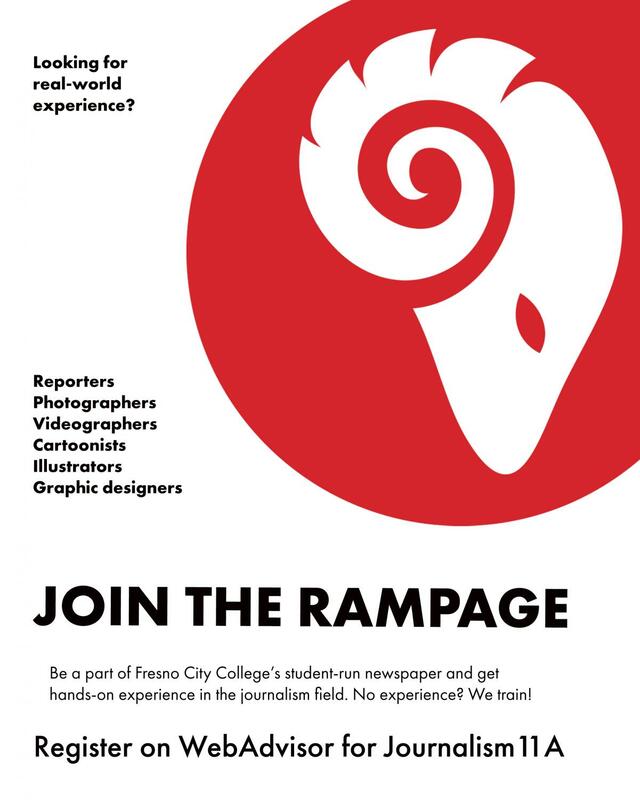 “We feel like we got some good momentum going right now,” Rams’ head coach Rhonda Williams said. 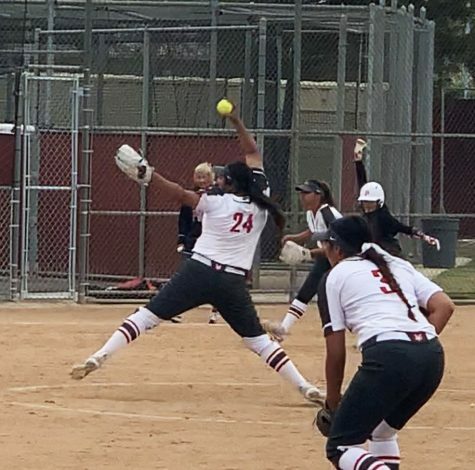 Katie Delgadillo was the starting pitcher for both games throwing for a total of seven innings facing 28 batters and only giving up four runs off six hits. “Pitchers are throwing well, we are playing good defense, we are hitting the ball. 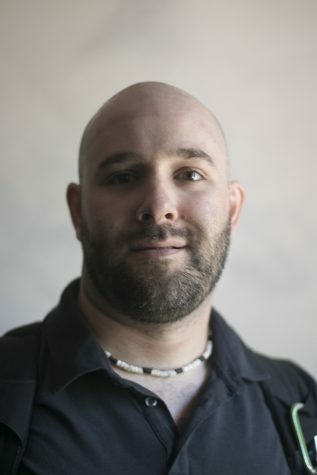 You know that’s what it takes for all those aspects of the game to come together,” Williams said. 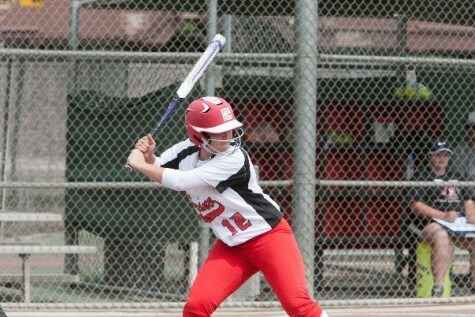 In game one Savannah Pena went two for three with two solo home runs. 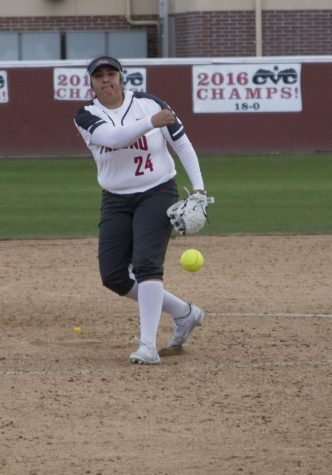 Offensive production was spread evenly throughout the team, seeing Pena, along with freshmen Teya Vincent, Tori Hernandez and Emily Puente all driving in two runs a piece. The only scoring opportunity for Taft came in the fourth inning, when a leadoff single followed by a double led to the only two runs of the game for the visiting Cougies. The game would be called after five innings, with a final score of 11-2. 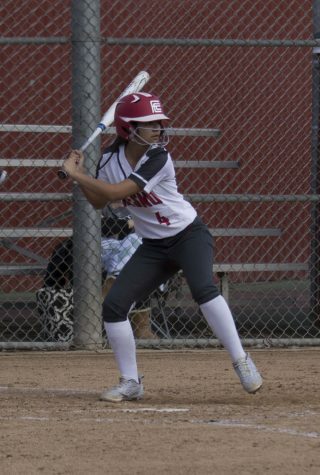 Game two had a strong start for the Rams, seeing the team bat through the entire line up, scoring six runs off six hits against Taft in the first inning. With the Rams at 6-0 going into the top of the second inning, Taft shortstop Morgan Thomas singled. 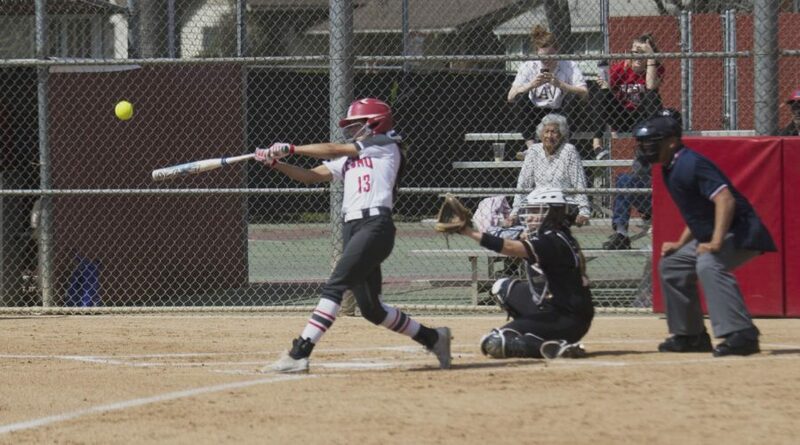 With a runner on first base, Tori Gonzalez hit a home run to score two runs, and close in on the Rams’ lead. 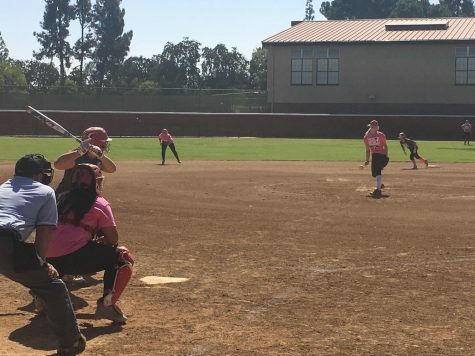 The Rams ran through the line up again in the third inning scoring five runs off three walks and four hits from Savannah Pena, Emily Fuente, Courtney Beckwith and Aliyah Alatorre. In the bottom of the fourth inning both Teya Vincent and Emily Fuente both earned homeruns for the Rams. Fuente sending the ball over the left field wall scoring a two-run homerun. Later in the inning with the bases fully loaded Vincent hit the ball deep to center field for a grand slam earning four runs for the Rams. As was the case in the opener, the second game was also called short at the bottom of the fifth inning with the final score of the game 19-2. “I think we are in a good place right now and going into finishing up the first round of CVC Play,” Williams said. Coach Williams is in her 23rd season as the head coach for Fresno City College and is planning to retire from coaching after this season but not retire completely. 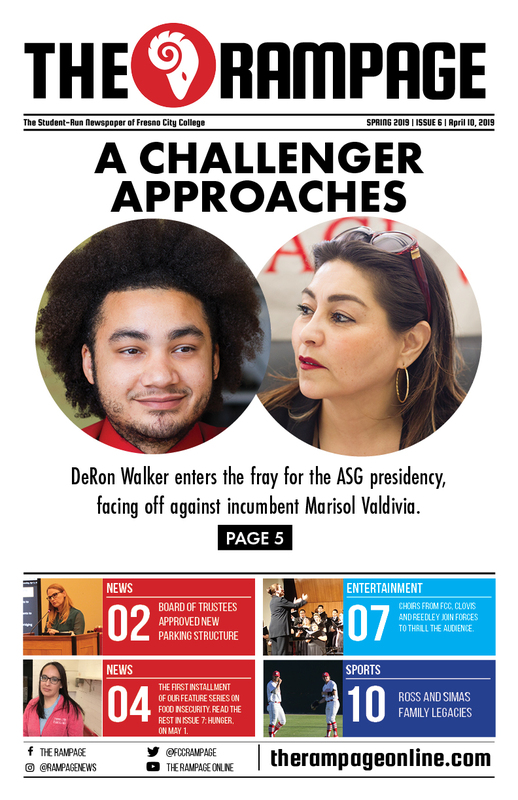 She is looking to continue her career teaching for the school for a few more years. The Rams will be on the road next week playing in a double header against conference leaders Reedley College on Tuesday March 26. First game will start at 1 p.m. and the second shortly after at 3 p.m.